If you need a bail bond in Huntsville, Texas, you are about to make the ideal connection. Our company, All About Bail Bonds, is the leading resource for bail bonds in Walker County. We have years of experience, and we have a thorough understanding of all the different courts and correctional systems in this area. Huntsville is known as the home of Sam Houston, and there is a museum in town that commemorates this historic native son. It is a physically beautiful town with a thriving cultural community, and there are many fantastic restaurants and shopping opportunities. We know the city well, and we are proud to provide bail bonds for Huntsville, Texas residents. There are many different types of offenses that can put a person behind bars, and the bail that is set can vary widely depending on the severity of the charge. We understand this dynamic, and we have built our business model to respond to it effectively. At the higher end of the spectrum, we can be called upon to provide felony bail bonds in Huntsville, Texas. And if you or a loved one has been jailed on a misdemeanor, we can spring into action to provide a bail bond that leads to freedom. We also specialize in DUI bail bonds, other types of traffic bail bonds, and non-arrest bonds. One thing that sets us apart from other bail bond companies is our sincere commitment to the well-being of our neighbors that we serve. We do not simply get you out of jail and forget about you. 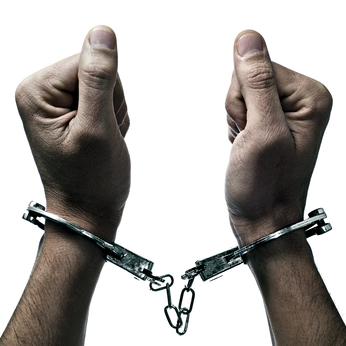 If you need time to pay your bail bond, we will work up a payment plan that works for you. Plus, if you need help understanding how to navigate the legal system after you are free, we would be more than glad to answer all your questions. We also explain all resources that you may be able to tap into, including addiction treatment programs. You can always rely on All About Bail Bonds whenever you need a bail bond in Huntsville, Texas. And when we say “whenever,” we mean it quite literally. Our office is open 24 hours a day, seven days a week, so help is always available. If you would like to speak with us about a bail bond, we can be reached by phone at 713-676-2227 or 936-703-5050. You also have the option of sending us a message through the contact form on this website.